On August 3rd, we brought you an official look at a wildly dressed Air More Uptempo given an esthetic that will undoubtedly remind potential consumers of the 1990s. 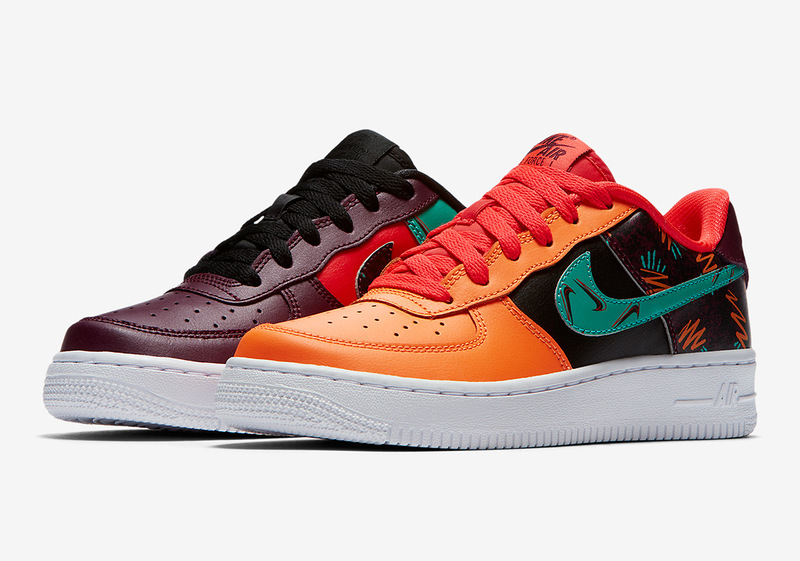 Now, the Swoosh Brand’s “What The 90s” pack is set to include one of the brand’s all time models, the Air Force 1. Much like the Uptempo, Bordeaux, Hyper Jade, Total Orange, and black get added to this wild offering to create a look that will certainly turn heads on the street. While the sneaker’s vibe may be catered to young adults who grew up in the 90s, sizing is only available for 2000s kids. Its all-over scribble pattern harkens back to a time before iPhones and Androids, when the younger generation was tasked with entertaining themselves devoid of a mini-computer at the tip of their fingers. Grab a detailed look at the Nike Air Force 1 “What The 90s” below and log onto Nike.com to grab a pair today.